Banana Spa is one of the oldest, the largest, and the busiest Male to Male massage Spa in Bali. Over the years, we have successfully built an honest reputation as a fun place to go and enjoy an excellent service. Being the biggest and best does not mean we can rest on our success in the past. We have decided to improve and expand at our new location just across the road. From just a massage spa to club that offers so much more; such as a laze in the pool, snacks and finger food, refreshments that range from a healthy juice to a glass of wine to make the day slip away. If you would like a special occasion like a birthday party, we can make a private function including food service. We will even fill up the pool with balloons and massage staff to make it into a beautifully decorated venue for the party. 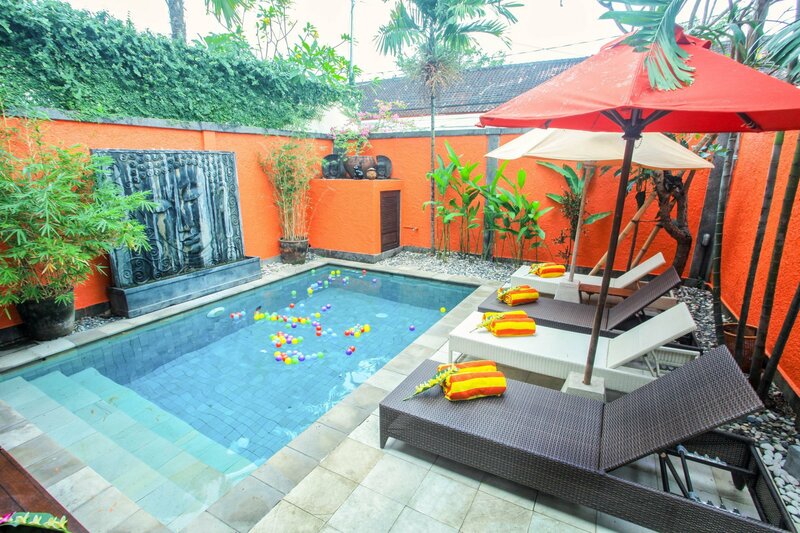 Banana Spa is easy to find, located in Jalan Drupadi 69, a short walk from Bali’s lively gay street “Dhyana Pura”. The spa is opposite to Wacko Restaurant, convenient for gay tourists as it is in the middle of the Bali LGBT suburb. Indeed, the need for long taxi rides is unnecessary.